Salman Khan keen to visit Arunachal Pradesh; fascinated by the pollution-free environment. Salman Khan has expressed his desire to visit the land of the rising sun, Arunachal Pradesh. He attended the second edition of an MTB Arunachal Mountain Bicycle Race in Mumbai. Union Minister of State for Home Kiren Rijiju was also present. This is a 650 km race from Mechuka Valley, Arunachal Pradesh to the state’s capital Itanagar. It will start on Nov 14 and last seven days. 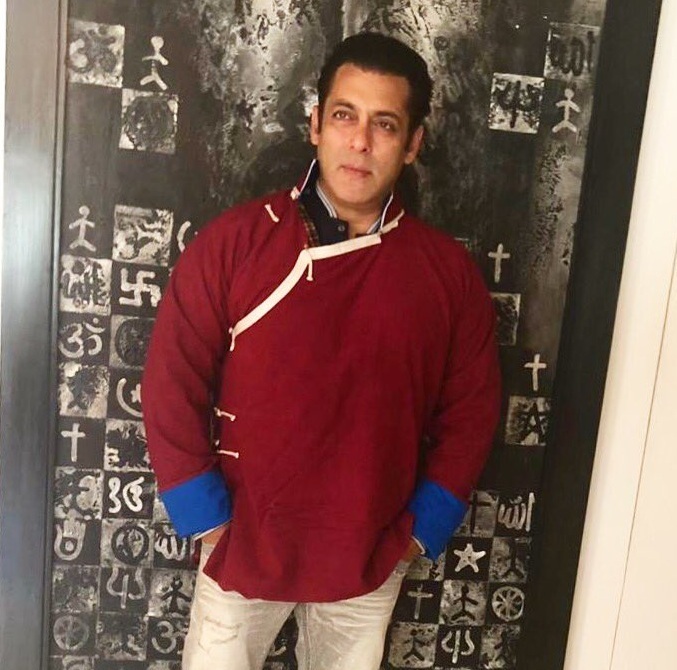 Salman said: “I have never been there, but I don’t know why I like Arunachal Pradesh so much that I just wanted to go there for longest time to see the place and to be there. I did a film called Tubelight with child actor Matin Rey Tangu who hails from Arunachal Pradesh. So, whenever he used to meet me, he used to tell me to visit Itanagar which is in Arunachal Pradesh. Here is the look of the traditional dress of the Monpa tribe of Arunachal on the actor.